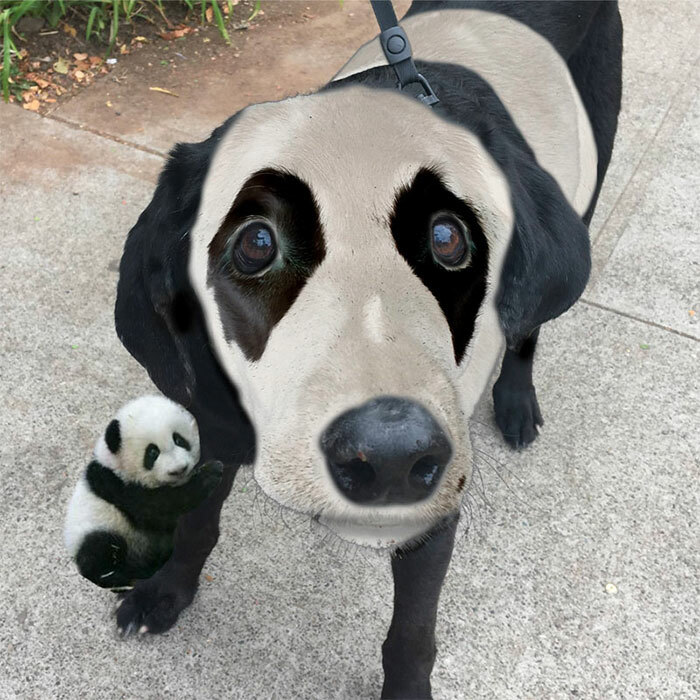 When Reddit user eRadthorpe uploaded this picture to the Photoshop Battle subreddit, many could have been forgiven for thinking that it had already been photoshopped. 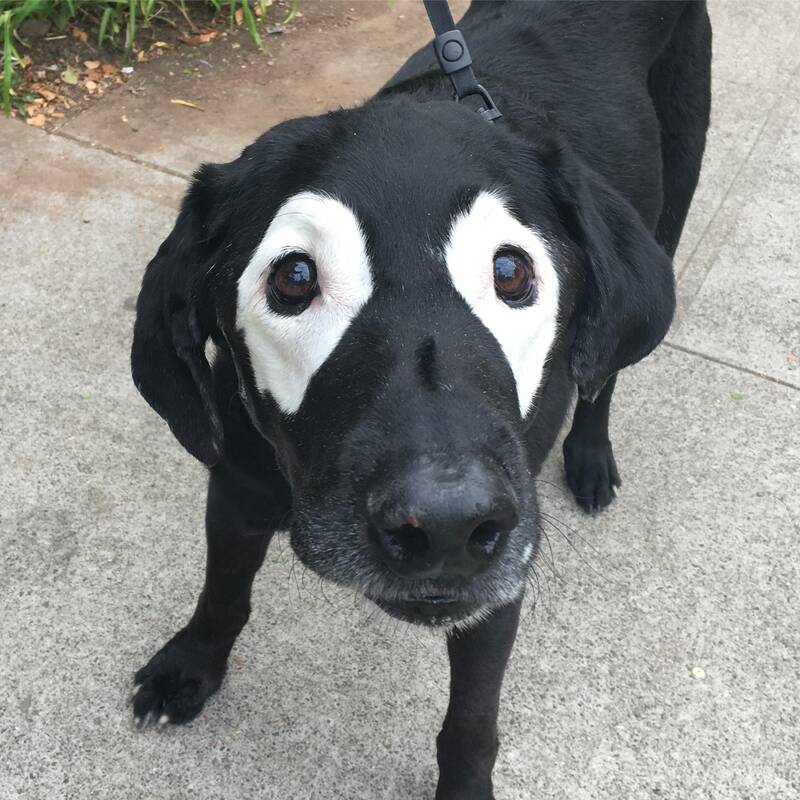 After all, it’s not every day you see a 14-year-old black Labrador wearing what appears to be a white superhero mask. 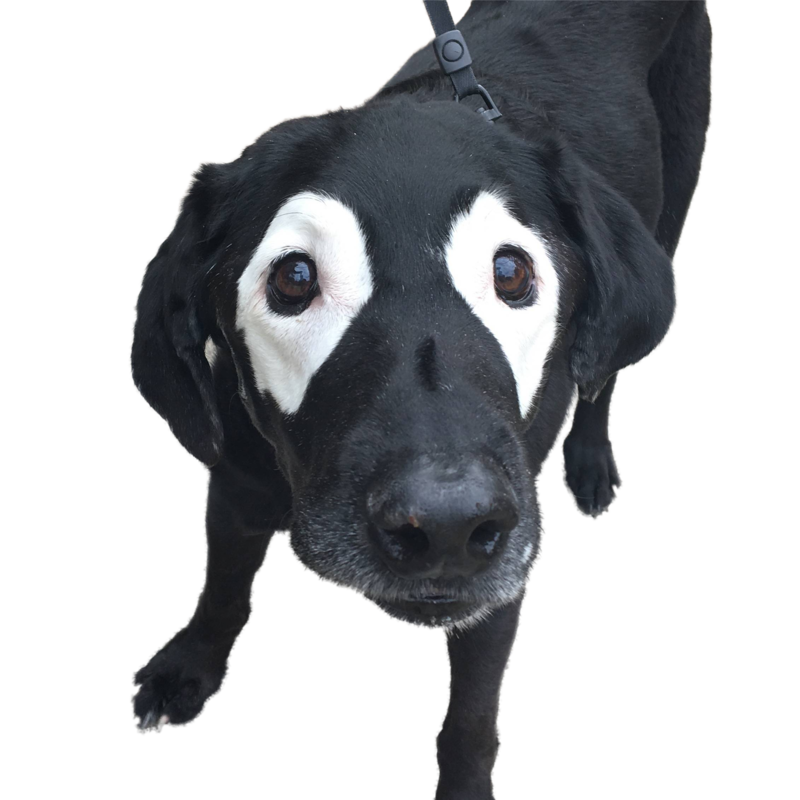 But the dog has what’s known as vitiligo, a physically harmless condition where the skin (or in this case fur) slowly loses its pigment. And although the lab looks tragi-comical enough already, it’s nothing compared to what it looked like once Reddit’s master manipulators had finished with it. Feeling up to the challenge? Then download the cutout and add your creations to the list below. Don’t forget to vote! This entry was posted in Uncategorized and tagged 700-page, black dog turning white, black lab photoshop, black labrador photoshop, black labrador turning white, dog with vitiligo, funny animal photoshops, funny dog pics, funny dog picture, funny photoshop, photoshop, photoshop battle, photoshop dog vitiligo, photoshopped dog, reddit battle, reddit photoshop battle, vitiligo.